Lavender (Lavandula angustifolia) has a long history of use as a remedy to ease nervous disorders, as well as to heal burns and skin lacerations. The fragrant plant can also soothe a headache and help with respiratory problems caused by influenza or a common cold. Lavender has a mild fungicide and antibacterial and antiviral effect, and in modern phytotherapy the essential oil distilled from lavender blossoms and leaves is used to treat small burns, abscesses, dermatomycosis, and slow-healing wounds. Applied internally by ingesting a few drops of essential lavender oil, lavender acts as an antispasmodic and mild tranquilizer. The Cochrane network of researchers and medical professionals found that lavender essential oil may reduce lower back pains, though the quality of studies available is insufficient and further research is needed. 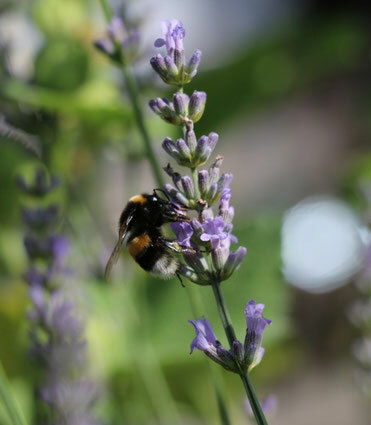 The European Medicines Agency summarizes the resuls the Committee on Herbal Medicinal Products (HMPC) found on the effects of lavender essential oil. 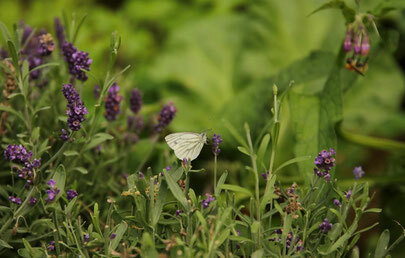 Lavender is often found in regency romances as a headache remedy or general soothing potion, for example in Georgette Heyer's novel Lady of Quality.